Home > Special Articles > Real Estate : Why Indians Invest in Dubai? Dubai Real Estate : The Promised Land for Indian Investors..! Dubai has always been an attractive real estate investment destination for Indians, but the intensity of interest has increased considerably over the past few years. As per latest data released by the Dubai Land Department, the quantum of real estate investments by Indian has reached INR 42,000 cr in the last 18 months alone - almost 40% higher than what it was in 2014. Today, Indians are the largest foreign investors in Dubai real estate by a comfortable margin. As per historical data, Indians can reap approximately 8–10% tax free returns by investing in the Dubai real estate market - without a doubt, extremely attractive capital appreciation and definitely much better than what they can currently expect in many cities in India. 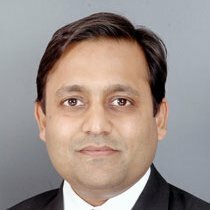 As per the current RBI norms, an Indian can remit as much as USD 250,000 per annum to Dubai (or any other country) which effectively means that within just two years, an individual (just one year for a couple which clubs their remittances) USD 500,000 can be invested in Dubai - enough to buy a quality property there. Further, the distance between India and Dubai is short and the frequency of flights is abundant, further adding to Dubai's viability and attractiveness as a property investment destination. Transparency plays a pivotal role in real estate investments, especially when investing in a foreign country. To illustrate, foreign investments into Indian real estate surged immediately after the announcement of RERA. The Dubai real estate market has consistently been highly transparent in all aspects, making it very attractive for Indian investors. Compared to Tier 1 Indian cities like Mumbai and Delhi, an investor needs to shell out far less for investing into the Dubai property market. As per recent reports, the average property price per square foot in the central parts of Dubai is approx. INR 25,000, which is sizably lower than what one would have to invest in Central Delhi or Mumbai.